During the winter, the temperatures drop and your home’s plumbing can suffer from a range of different problems that all have the potential to cause significant damage. There are always solutions to any plumbing issue, whether that’s performing a DIY task or needing to call in a professional plumber for advice or help. 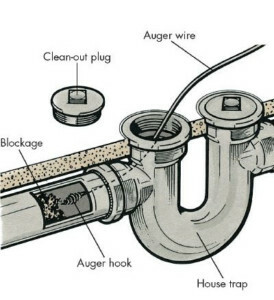 All homeowners should be aware of the potential problems that can arise with their plumbing when the winter months hit. Below, we’ve put together a list of some of the most common plumbing issues that homeowners face with every winter and how to resolve them. Over time, your drains and gutters can collect a lot of dirt and debris. When you have a buildup in your plumbing system during the winter, ice can form on top of the rubble. The ice will cause extra weight, and it can result in the drain breaking or the gutter falling. Throughout fall, the trees shed their leaves; this is where a lot of the debris build up comes from. Before it gets icy and cold, check your gutters and drains and give them a good clean out. You can also install gutter guards to prevent large amounts of dirt and debris from gathering. During the winter, when the temperatures are colder, cooking oils and grease are a lot more likely to solidify in your pipes. Grease and oils already take their toll on drains and pipes in the first place, so don’t add extra strain to them during the winter. Try and avoid pouring these liquids down your sink at any time of the year, but especially during the winter. Instead, pour the oil or grease into a container, an old chip packet or a yogurt pot then let it solidify and put into your garbage bin. If your drains or pipes have become clogged with oils or grease, don’t attempt to use off shelf drain cleaners as they can cause more damage. Instead, call in a local plumber. During the bitter cold winters, it’s not uncommon for pipes to freeze due to the cold temperature. When pipes freeze, there’s a chance that they could crack or burst. When your pipes are damaged due them freezing, repairs can be costly. With Christmas not too far in the distance, the last thing you need is to fork out money for pipe repairs. You can avoid damaged pipes this winter by having them insulated. Depending on where you live, and how old your home is, most homes now are built with insulation. If your home is lacking insulation, don’t worry. Pipe insulation doesn’t cost much, so if you’re feeling up to it, it can be a DIY job. If you’re not much of a do it yourself person and you’d prefer to employ a professional to carry out the job, it can be done quickly and for quite an affordable price. During the winter, it’s very uncommon for us to use our outdoor faucet. When it comes back round to the summer, and you go to water your lawn, your valve may not work due to it freezing during the winter and the washer breaking. You can avoid a broken outdoor faucet by replacing the washer with a frost proof one. Before the transition from fall to winter is complete, inspect and clean your sump pump pit from any debris or dirt. During colder months, you may also find some ice in the pit; this will also need to be removed. If your sump pump is not clear, it can lead to clogs and flooding.